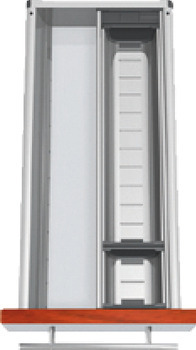 Illustrations show nominal length 500 mm. 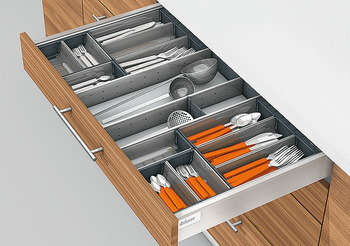 Compartment system for kitchen utensils, etc. 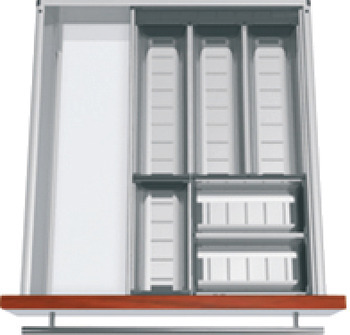 For cabinet width 300/350 mm use 2 compartment elements for cabinet width 275 mm and order double the quantity.